Before the rainy season began, I joined #HumerificMoms in a get together at Early Bird Breakfast Club at Century City Mall to talk about nasal hygiene and try our hand at terrarium-making over good food and refreshing drinks. With two minis who are prone to getting sick–especially during the colds season–and a husband who is always exposed to smoke during fire operations, I really wanted to learn how I can better protect and care for my family so they can have a cleaner, better, and happier breathing experience. To be honest, I didn’t know a lot about the importance of nasal hygiene until this little get together. Come to think of it, nasal hygiene really isn’t commonplace in the Philippines…even if colds and allergic rhinitis are very common. We tend to just disregard these health issues, not knowing that we can ease them their occurrence and their symptoms. Just like we use toothbrush for oral hygiene, our nose needs Humer for proper nasal hygiene! Humer is a health brand that provides natural treatments for nasal care and hygiene that is helpful for infants, children, adults, and pregnant women. Their products are manufactured by Laboratories Urgo. The Humer Nasal Sea Water Spray product range consists of natural seawater that gently cleans the nose by humidifying dry mucosities and fluidifying nasal secretions, thus making blowing easier for nasal decongestion. It moisturizes the dry mucosa that makes breathing a lot better. Its non-diluted formula retains the seawater’s marine elements and mineral salt. So, it’s just seawater?! Yes, but we can’t just use any seawater for cleaning our nose. The seawater that Humer uses comes from Saint Malo bay in France, which is well-known for the quality of its water. There are two types of Humer Nasal Sprays: Humer Nose Hygiene, which is an isotonic nasal spray that can be used to clean the nose daily, and Humer Blocked Nose, which is a hypertonic nasal spray, intended that helps to decongest blocked nose. Each of these sprays comes in two variants: blue for adults and pink for infants/children. First and foremost, I love that these nasal sprays are all natural. The bottles are super easy to use–even in different positions (which is super important when you have little kids). The bottles use an anti-return valve to avert contamination caused by reflux. Plus, the nozzle can be removed so I can easily clean it after use. Make nasal hygiene a daily habit! 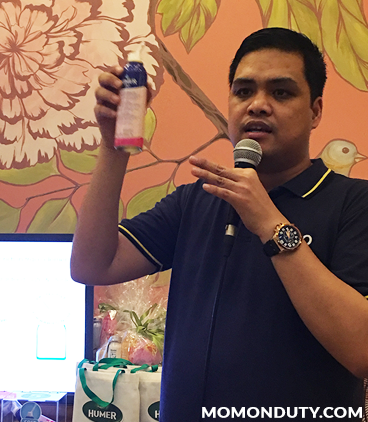 Humer Nasal Seawater Spray is available in Mercury Drug and MedExpress outlets in Metro Manila. 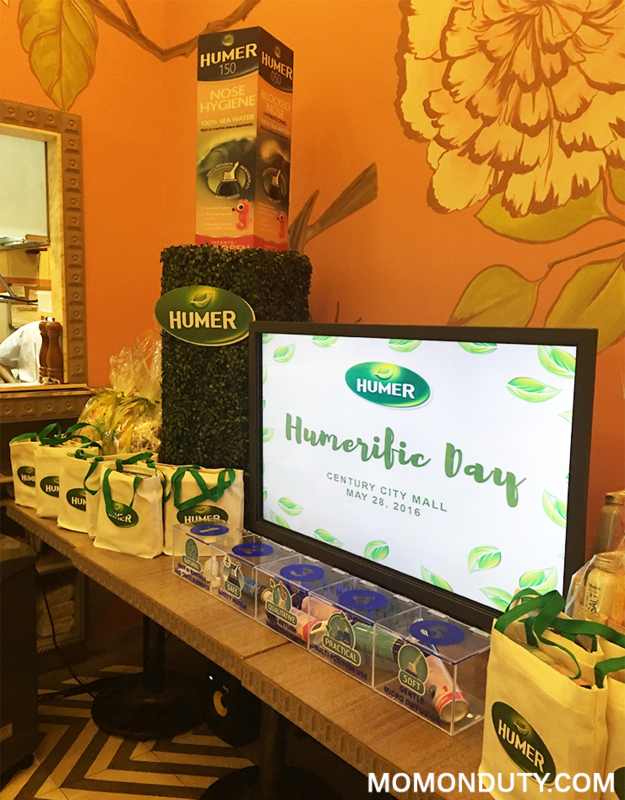 To learn more about their products, visit www.humer.ph or like them on Facebook.